ST. GEORGE – Two pre-race events took place Friday to get the IRONMAN 70.3 athletes and the community ready for the big race. A prayer meeting was held for the athletes, and the IRONKIDS race followed later in the evening. 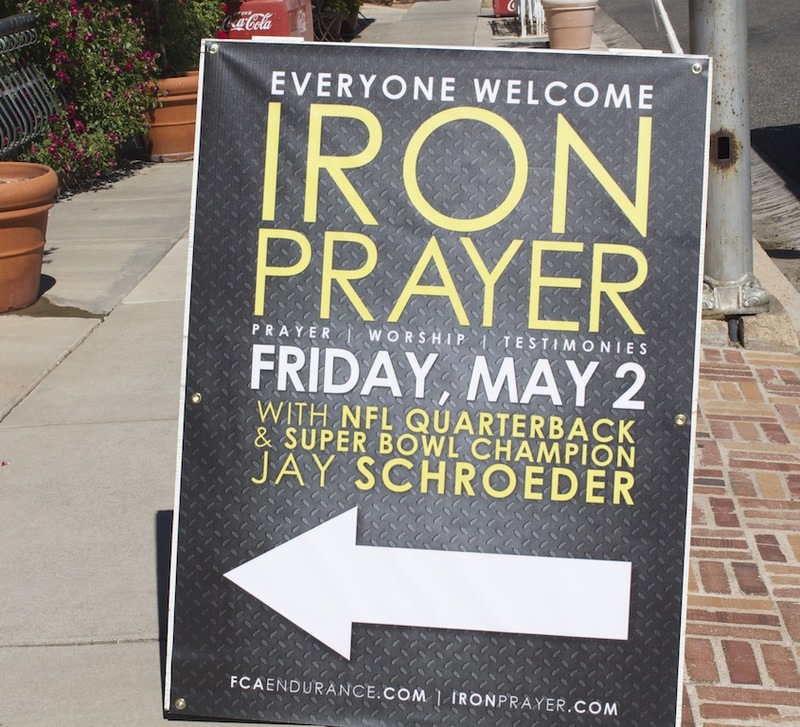 At 4 p.m. Friday afternoon, everyone was welcome to attend Iron Prayer at the Green Gate Village Inn in St. George, where retired NFL quarterback Jay Schroeder spoke to participants about the importance of winning in the game of life as opposed to just winning the race. Fellowship of Christian Athletes is a sports ministry focused on sharing with athletes and coaches the importance of fostering a relationship with Jesus Christ, encouraging them to grow in their relationships with Christ and to share their faith with others on and off the field, court and track. 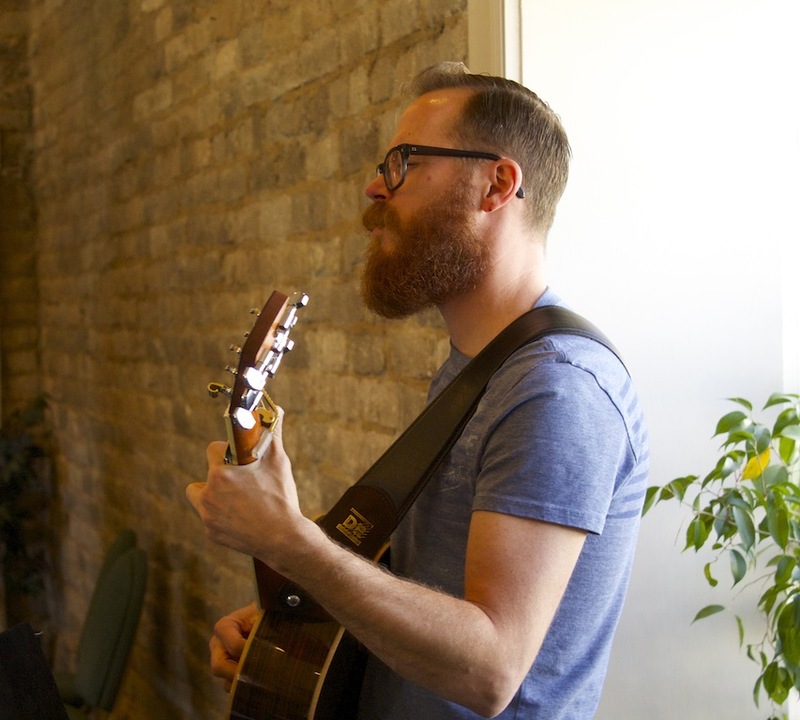 The group began the Iron Prayer gathering with an opening prayer and then transitioned into worship, singing two songs. 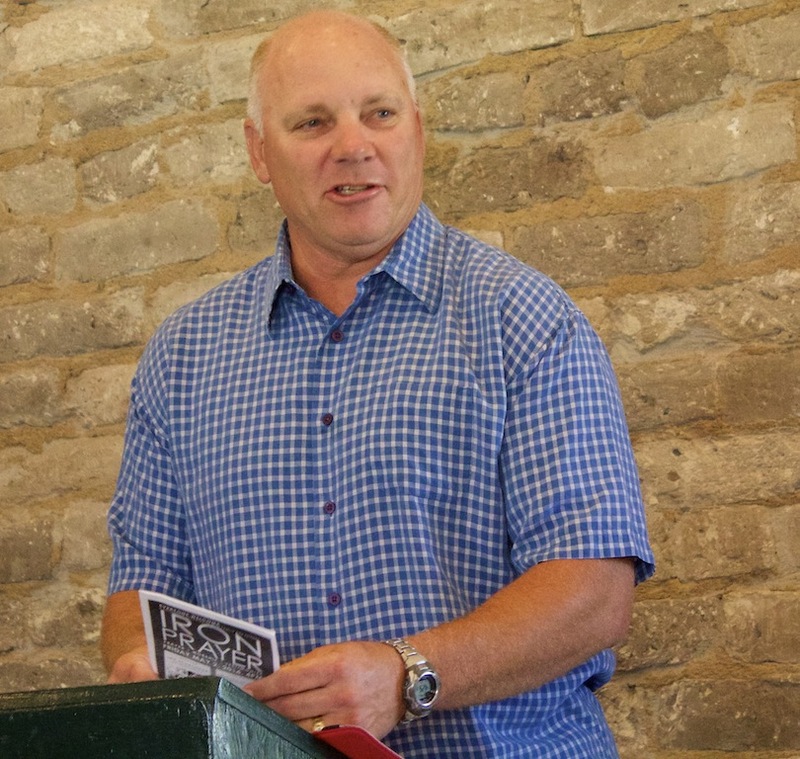 Pastor Rick Nerud, of Calvary Chapel St. George, shared his experience about how a similar Fellowship of Christian Athletes event led him and his wife, Jill, to know Jesus Christ as their personal savior more than 30 years ago. 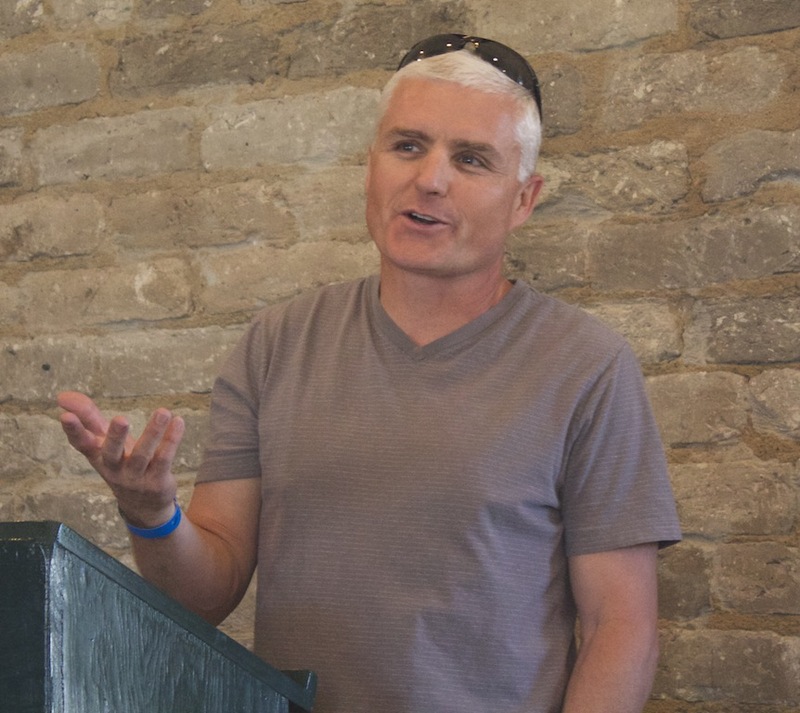 Schroeder spoke about his past experiences as a professional athlete and urged everyone in attendance to get into their Bibles and become a source of encouragement for the other athletes they will be competing against. Attendees broke into three different groups and prayed for all the athletes and volunteers that will be involved in IRONMAN 70.3. Athlete Sheila Watkins and her husband, David, from Salt Lake City, attended Iron Prayer. Both said they thought the meeting was a blessing and reminded them that God is always in control no matter the outcome. Iron Prayer concluded with another worship song and an ending prayer. Later on in the evening, the IRONKIDS race took place at 7 p.m. in Town Square, across the street from where Iron Prayer had been held. At IRONKIDS, child participants had the opportunity to get a glimpse of what the IRONMAN competition is like. Kids could choose to run a one-mile distance or a 200-meter distance. 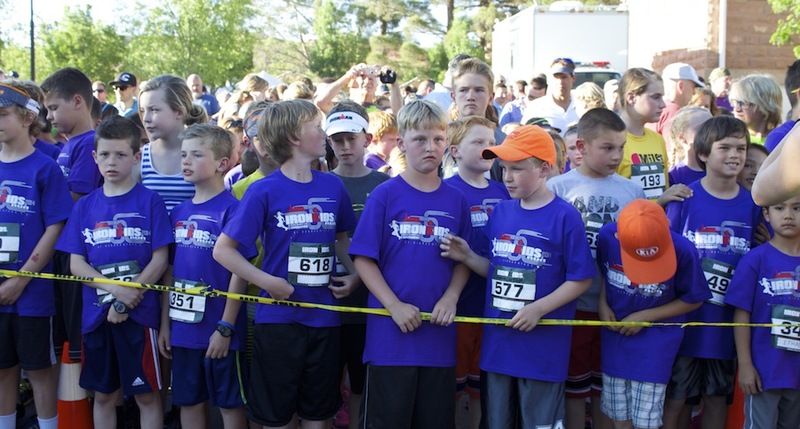 The City of St. George has been planning the IRONKIDS race since January. “It looks like we are going to be very close to 1,000 runners this year. We will have the exact number once we finish up on registrations,” Jimi Kestin said. Kestin is co-captain of the IRONKIDS race, representing the Exchange Club, along with Aaron Metler, who represents St. George Races. 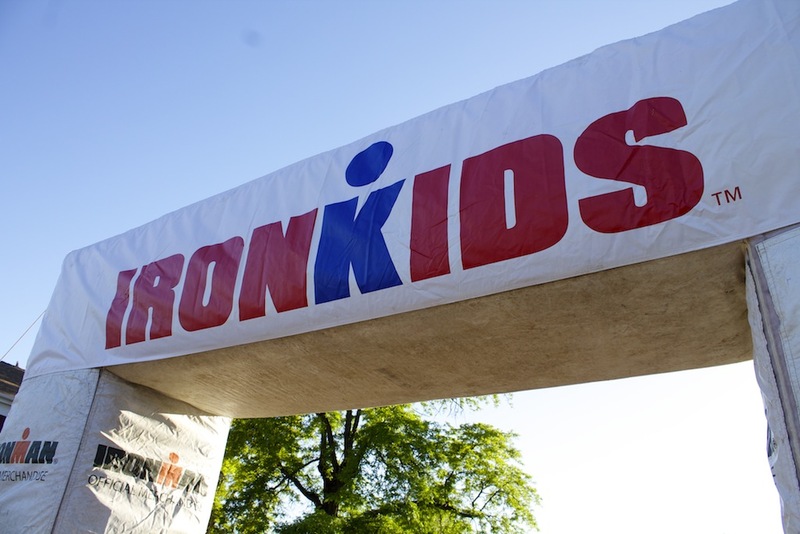 The IRONKIDS race in Phoenix, Arizona, is the only IRONKIDS event that is bigger than the one held annually in St. George. 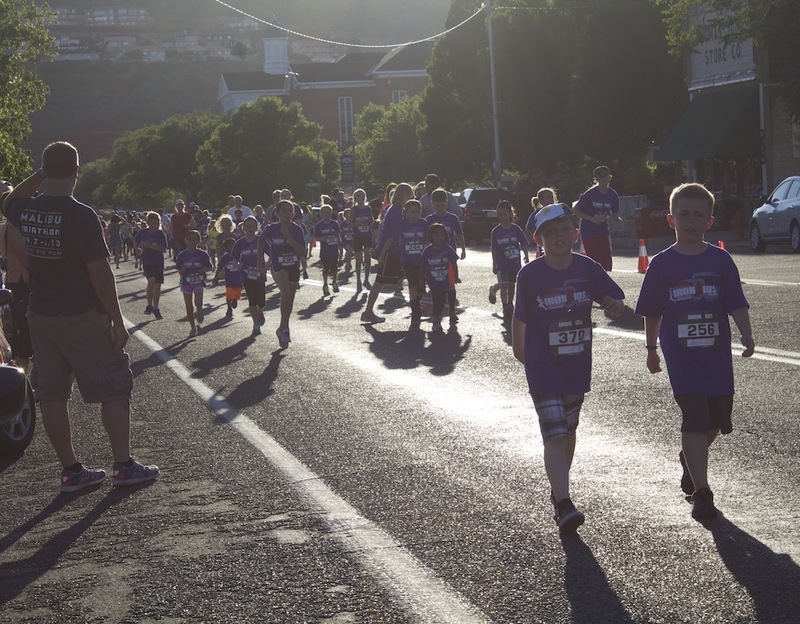 When it comes to hosting kids’ races, Metler said he feels St. George is number one in the world, which really shows how fitness-oriented the community is. IRONKIDS participants Seth and Solomon Krommenhoek, from Mapleton, Utah, and Jackson Brooks, from Springville, Utah, agreed that crossing the finish line and hearing the announcer was their favorite part. 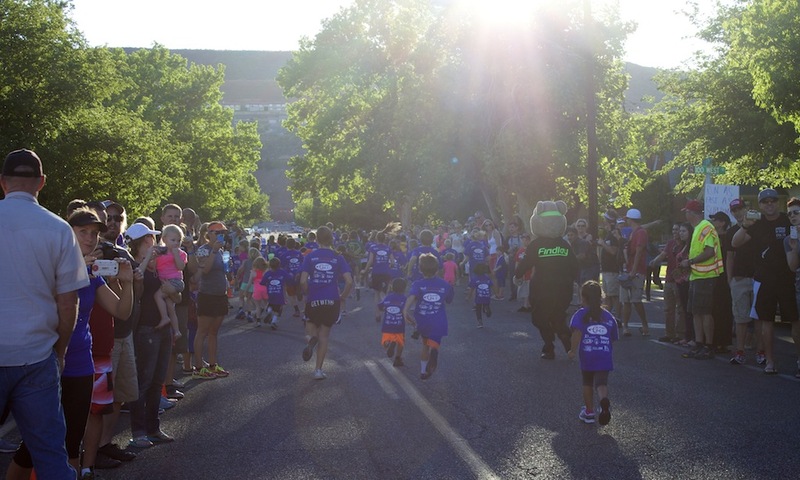 The Exchange Club, State Bank of Southern Utah and Planet 94.1 are the main sponsors for the IRONKIDS race.